I have been mining and mining and mining and mining - on a bunch of different levels and areas... I've found the coal I need, I've found TONNES of copper, but I can't find any iron. Anyone have any clues to what I'm doing wrong?! Here's some writing i came up with for the log. 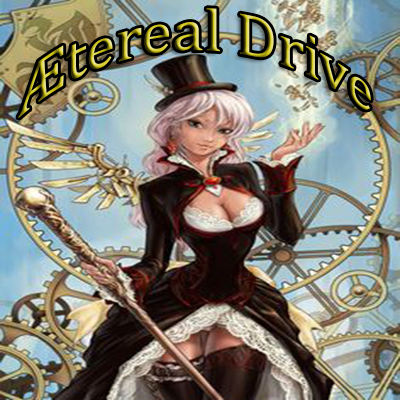 Ætereal Drive has been taken to the next step... Better, faster, stronger. And a new parelell dimension has been opened to us... a World of Light. Make sure you credit me on the writing here if you decide to use it. I have looked into this mod and I think it is fantastic. However my concern is that the DragonAPI on which it relies may not be compatible with other mods in this pack. It is something I could look into. You'd need to go deep into the configs and change a LOT of things (notably: AE2) in order for it to work. But it shouldn't be that big of a disruption. Also... the mod might not fit within the pack because it's more of a tech-like magic mod. It's in the same boat as Botania in that regard. And if you want to change ANY recipe within the mod, make sure you document it in the proper config file or you *draws thumb across throat* by Rekia's hands. Research heavily and play through the mod before changing anything. This goes with ANY of Rekia's progression-based mods. In the questbook the quest "a more refined fuel" it asks for 16 "bedrock". As far as i can tell, bedrock is not mineable or craftable. Is this quest messed up? I have the 1.0.4 version of this pack. That used to be an item from a Mod that has been removed. Just cheat to finish the quest until there is an update. Yes, that is correct. The quests will be polished up with a release likely this weekend. Is there an english wiki for Academy Craft? The translated one is hard to follow. The quest book asks for steel and shows the pic for the steel that you get for smelting iron, but when you smelt iron you get cast iron not steel. Odd. Thanks for the report. I will fix it up with the next release. Is the steel from Sirius (smelt iron in furnace) the intended version of steel? If it is that does make it extremely easy to get. If you do want Steel easier to get than normal, maybe smelt Iron>Cast Iron, smelt again Cast Iron>Steel. Where can you get Stone Shards (Sirius)? The website said they drop from Stone, but the world only has Unstable Stone and haven't seen any. SirusMC was removed in the most recent version do to some bugs it had with the Server version of the pack, that quest was also fixed in 1.0.3 to use Forge Ore Dictionary Detection of Steel. However, if you are still using the 1.0.2 version of the pack and don't intend on upgrading the stones can be dropped from the Stalactites underground.